POINTS TEST AUSTRALIA - Adding it up looks easy but don't be fooled!! POINTS TEST AUSTRALIA – Adding it up looks easy but don’t be fooled! Calculating your own Skilled Migration Points without professional knowledge of the Department of Home Affair’s (DHA) regulations and policy is fraught with problems and may be costly in the long run, both financially and otherwise if your sums don’t add up. Estimating your points wrongly and then lodging an Expression of Interest (EOI) with an incorrect score can lead to your visa application being refused. It may also result in the sanctions being imposed by the DHA against including bans on future applications you’ve submitted bogus information to the DHA. If you’re invited to lodge a visa application after you’ve lodged your EOI, and you can’t back up your self-assessed score with proper evidence in your Skilled Visa application or Business Visa application, your visa application will be refused. If the DHA considers your inflated points claim is bogus information, you may be prohibited from applying for any other visa for another three years because of the DHA’s Public Interest Criterion 4020, (PIC 4020) also known as the fraud criterion. DHA case officers may impose this ban where you have claimed points and are unable to produce the required evidence to back substantiate the claimed points. The ban is imposed because bogus information and/or documents have been provided to the DHA and it is very quick to apply these sanctions . 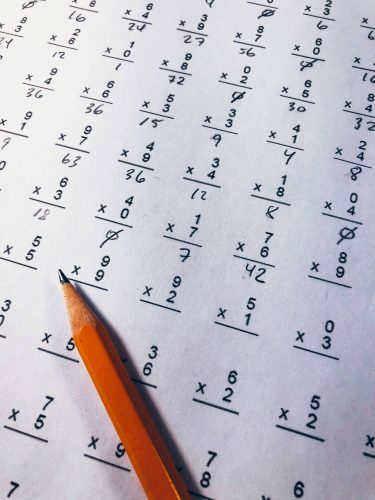 At AHWC Immigration Law, we’ve had extremely anxious applicants contact us because they have done their own points test calculations and lodged their EOI, and are worrying that they have calculated their points test inaccurately. In almost all cases we find that they have inadvertently miscalculated their points scores which they have then provided to the Australian Immigration Department. Callers in almost all cases had submitted their EOI’s with clearly overestimated points test scores. Doing this, as mentioned above may attract PIC4020’s sanctions at worst and a visa refusal, but fortunately we are usually able to assist clients in these cases to eliminate this danger and submit a correct points test score via the EOI system (and of course seriously reduce their anxiety levels!). It goes without saying that Australian Migration Law, the Migration Regulations and the enormous amount of Australian Immigration Policy is complex, lengthy and difficult to understand. 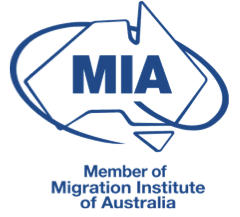 Migration policy dictates almost every aspect of Australian visa application procedure and is available to the DHA case officers, Registered Migration Agents and Immigration Lawyers. It is extremely difficult for a potential visa applicant with no formal migration law knowledge and no way to access policy to properly assess their own points score. By way of example, how do you know without access to policy when your employment is at skilled level, or which qualifications count? How will you know what you’ve overlooked? Is it possible your points score could in fact be higher than you’ve calculated, giving you a much higher chance of receiving an invitation? Do you know how to lawfully increase your points score relatively easily? Recently, we came across a visa applicant who claimed she had 95 points – a score that is nearly impossible to achieve, and after her score was recalculated by one of our Registered Migration Agents, who is expert in Australian permanent residency and the Skilled Migration points test, we found her score was in fact 65. We took steps on her behalf to prevent any sanctions mentioned above and we also advised her as to the steps to take to increase her score so she had a much better chance of receiving an invitation to lodge her Australian permanent residence application. She now has permanent residence via the Skilled Independent Stream. Given the ridiculously exorbitant cost of visa application fees these days, and the risks of bans and other sanctions it is false economy not to consult a Registered Migration Agent or Immigration Lawyer to assist you with your Skilled Visa or Business Visa points test, your EOI and your visa application. At AHWC Immigration Law (formerly Australia Here We Come Migration) we offer a no visa no professional fee guarantee for SkillSelect Skilled visas, giving you peace of mind visa wise and financially. Contact us today and book a consultation. Call +61 3 95735200 or enquire here. Australian Immigration News Points Test, Skilled Migration permalink.